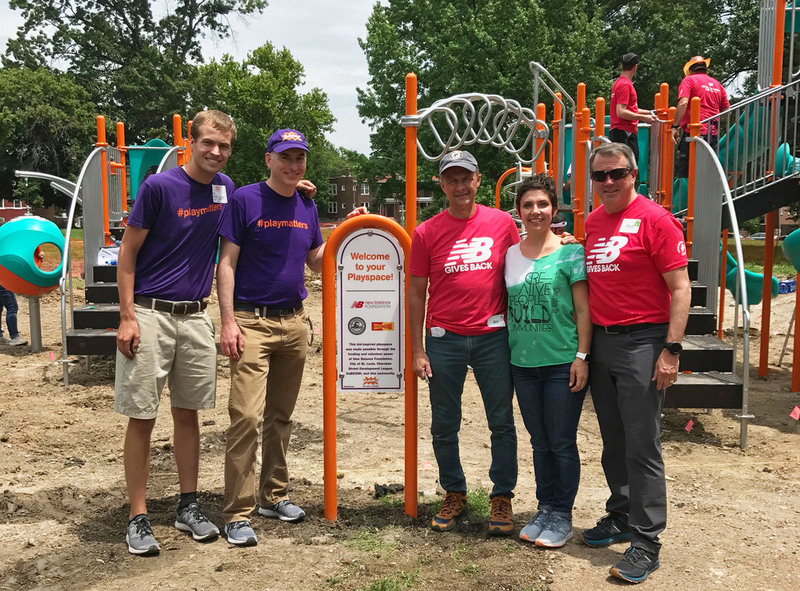 City council member works to build a playground for her community and her son | KaBOOM! When it comes to her job, Cara Spencer has a relentless source of motivation: her son. Since she was elected as a city council member in 2015, Cara has been working to make her neighborhood, Gravois Park, a safer place for him and for all who live there. 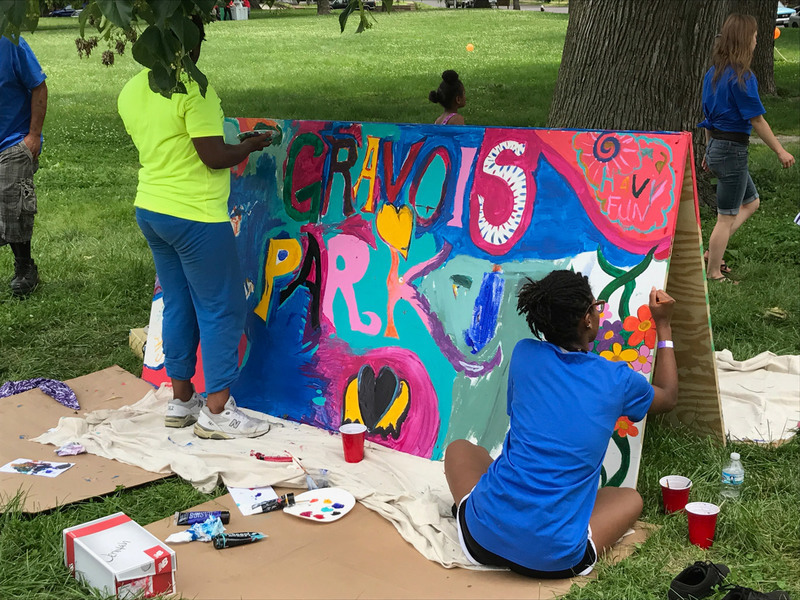 "Gravois Park is one of the most challenged neighborhoods in St. Louis. We have violent crime here on a regular basis," says Cara. With 39% of residents living at or below the poverty line, it can be difficult for her neighbors to feel hopeful about the area. But Cara wanted to begin to change that by focusing on the neighborhood park. The park is brimming with potential— it's in the center of a densely populated, diverse community. But for a long time, it was not somewhere Cara felt comfortable bringing her son. The lack of well-lit areas and broken playground equipment signaled danger and warded off local kids and families. It just felt wrong. We had this barely functional playground and it invited anything but play. She decided it was time to do something about it. Cara's team put in new lighting, planted trees, and focused on making the space more welcoming to kids and families. "Better connected communities are safer. And the park is a place where neighbors make connections and become friends." While the park landscaping was looking better, Cara couldn't find the funding to build a new playground. Then, last year, the local business district applied for— and was awarded— a KaBOOM! grant. Throughout the planning process, businesses donated supplies, the school recruited volunteers, and neighbors signed up to help. "This project really brought people together like never before," said Cara. When it was time to build the playground, people of all ages and backgrounds showed up to contribute. This was the first opportunity many of them had to meet their neighbors. Many had never even been to the park before. 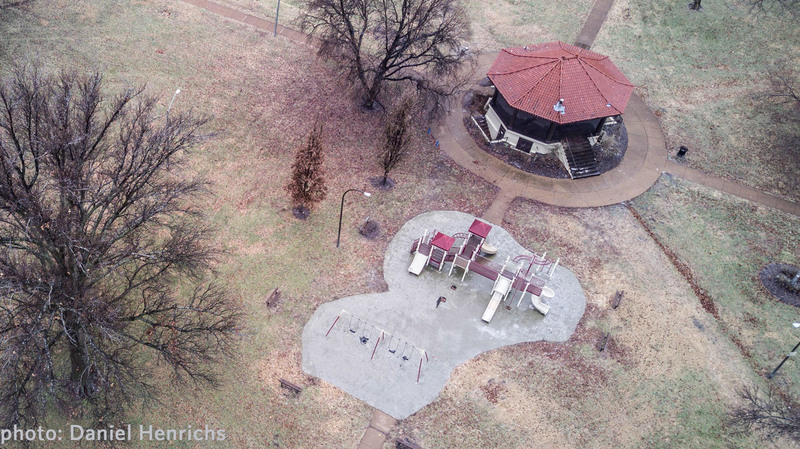 Despite St. Louis having one of the highest crime rates in the nation, the Gravois Park neighborhood has seen a 16% drop in crime over the past year. Cara believes that collectively creating a safe public space led to increased community cohesion and ownership over where they live. There's no substitute for having a project to work on together and, after it's done, having a beautiful playground for our kids that everyone is proud of. And they should be—they built it! There's still much work to be done, but already, Cara is noticing progress. People are looking out for each other and taking care of the park. The most noticeable sign of success? There are kids and families using the playground! Often times, this includes Cara and her son.